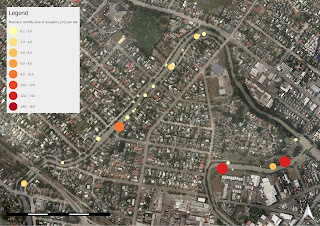 The Resilient Shorelines project has been developing an in-depth study of spatial ecology and conservation planning in waterways of Ōtautahi Christchurch. Over the past three years we have compiled a detailed picture of īnanga spawning habitat. These studies have used a combination of census-style field surveys (Orchard & Hickford, 2018), and the use of artificial habitats as a research tool to detect spawning sites (Orchard et al., 2016, 2018). The result is a comprehensive picture of īnanga spawning habitat at a whole catchment scale. Ōtautahi Christchurch is home to NZ's largest known area of īnanga spawning! A surprising result from our early work was the discovery that spawning habitat had expanded following the Canterbury earthquakes, and was more extensive than ever previously recorded (Orchard & Hickford, 2016). Further studies in 2016 found even greater areas of spawning habitat (Orchard et al., 2018). The total area involved was nearly 2x the next largest area of spawning habitat recorded in any catchment in New Zealand (based on records in the National Īnanga Spawning Database). See the share presentation below that summarises some of the initial results. 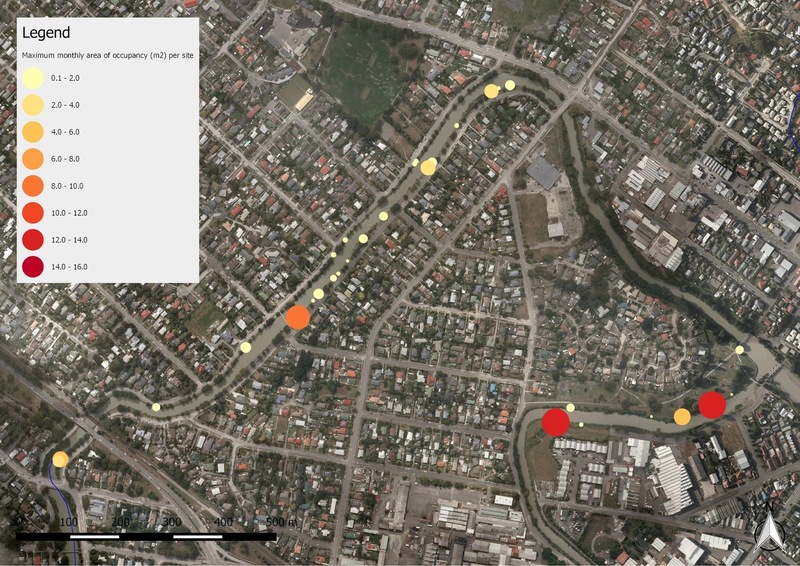 In 2017 a follow-up study supported by Christchurch City Council found a similar area of spawning in the Avon but less in the Heathcote (Orchard, 2017). However this survey only covered a single month of the spawning season and so, unlike the previous studies, it was not possible to generalise about the seasonal trend. In the Heathcote, in particular, it is possible that spawning could have occurred in other areas of different months. Confirming this (or otherwise) is important since it might also indicate that the population of mature adult fish was reduced compared to 2016.